Winning Futures is an award-winning nonprofit organization providing academic skill building programs through workbooks and training handbooks. The Winning Futures workbooks are designed to provide students and young adults with the appropriate guidance required to build roadmaps for success. 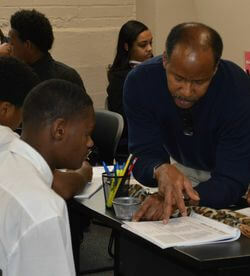 We also help youth and teens set goals for their education through academic skill building and assessments. By helping students and young adults identify their own education goals with the help of teachers and mentors, they are put on the right path to achieve both short- and long-term goals. Winning Futures workbooks also provide activities that help students and youth explore study skills, time management and overcoming obstacles, putting them in a better position to improve academic grades and achieve a higher level of education than originally planned. To learn more about the Winning Futures and our academic skill building programs, visit https://winningfutures.org or contact us.